Remparts de Québec in Montreal or Quebec City? Inform me about the next events for Remparts de Québec. Enroll yourself to our priority waiting list for Remparts de Québec to be alerted when new tickets are available. Filling this form doesn't engage you to any purchase. 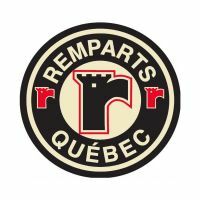 Les rempart de Quebec is a junior ice hockey of the Quebec major junior hockey league. Their home is Quebec and beginning in september 2015 they will play at the new Videotron Centre. Les remparts de Quebec won twice the memorial cup, in 1971 and 2006. Come and cheer them!! For excellent tickets, contact us at 514-Tickets, it will be our pleasure to inform you.